LONDON – "Michael Jackson - The Life of An Icon"- released by Universal Pictures – is a documentary film to present a tribute to the ‘King of Pop’ after two years of his death in 2009. The European premiere, which was held at the Empire Cinema in Leicester Square on Wednesday, with two of Jackson's siblings, Rebbie and Tito, in attendance. The premier was attended by many celebrities of music, film and television, has been streamed live on the Web. A host stars attended the premiere, including producer David, Alexandra Burke, Peabo Bryson, 'EastEnders' actress Patsy Palmer, 'Jimmy Mack' singer Martha Reeves and Jodie Marsh. "Michael Jackson - The Life of An Icon", directed by Andrew David Gest Eastel, the film recounts the life of Michael Jackson through the memory of family members, colleagues and all those who have had the luck and the chance to know him, and aims to traces the personal and artistic life of the king of pop, from childhood until the last few years marked by allegations of pedophilia and the judicial process. 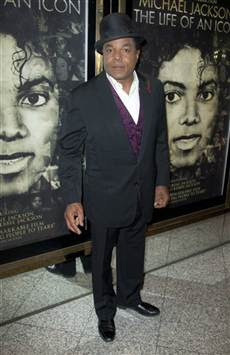 Tito Jackson says people will learn that Michael Jackson was a loving man who wanted to "to change the world" when they watch new documentary 'Michael Jackson: The Life of an Icon'.